Kids, what are you doing on the coming school holidays? 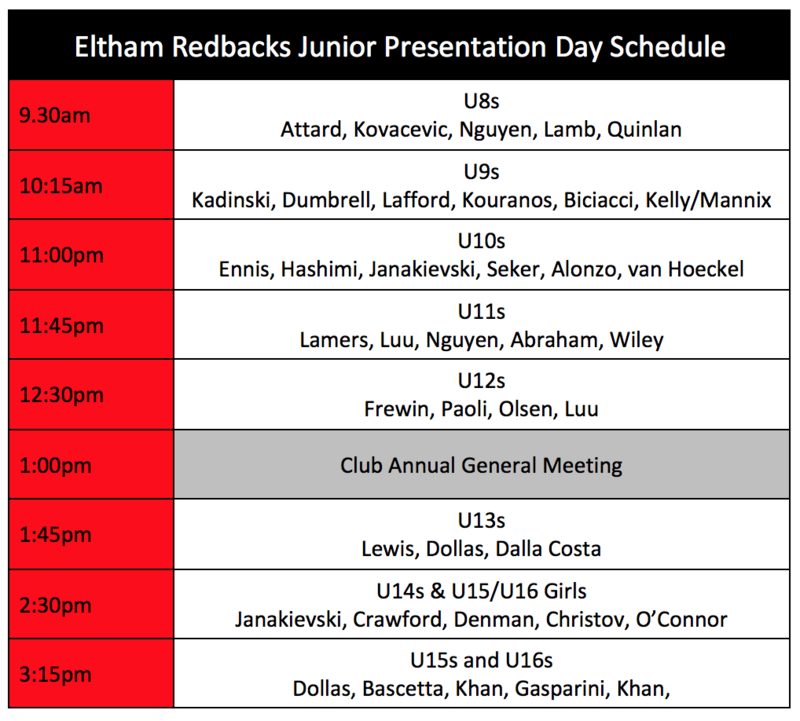 The Redbacks have a holiday program for Primary School aged children. 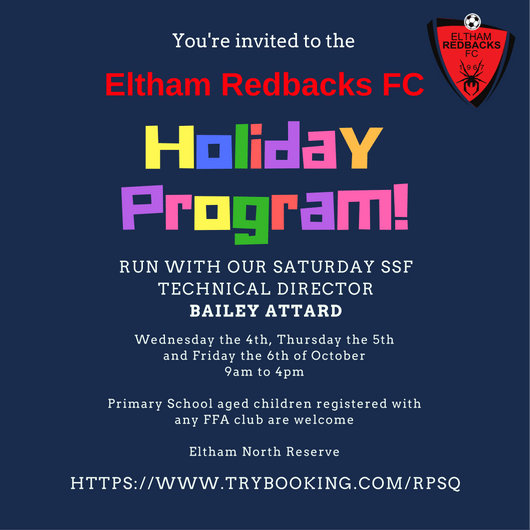 Run by our Saturday Program Technical Director Bailey Attard, the holiday program focuses on core footballing skills delivered in an engaging manner. Places are limited! Visit https://www.trybooking.com/RPSQ to find out more.